The name of this rosy two-coater? Sheer Lavender. One might think the bottle is mislabeled, except this color is shown with this name on the NYX website, so evidently they meant to call it that. Why on earth they chose that name for this polish I can't imagine, unless they were going with a "two wrongs makes a right" approach. 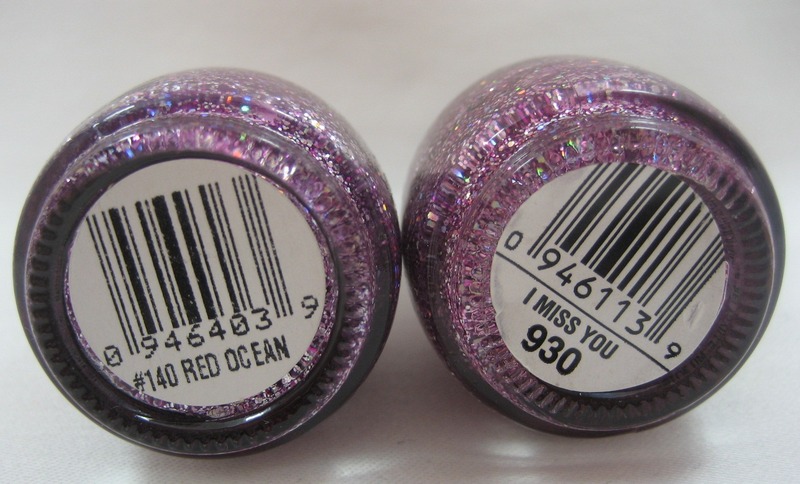 Speaking of mislabeling, when pawing through my glitters to find I Miss You, I discovered I have two bottles of it. The biggest difference between them is one is labeled Red Ocean. 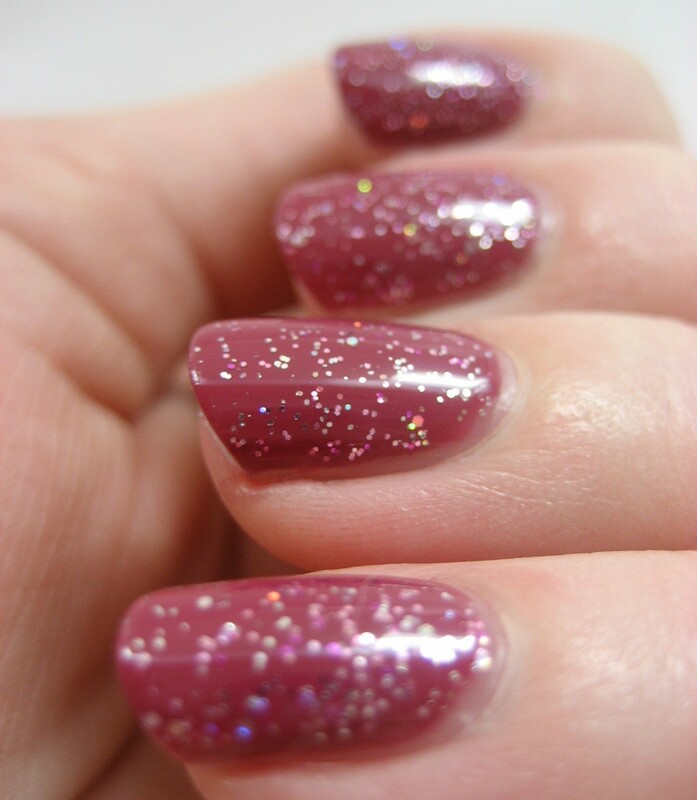 Calling it Red Ocean does not make it have flakies, sadly enough. I loved the glitter on top! I have been trying to find the Ocean series from Sinful but missed the boat of that one wayyy too late. Pretty! The glitter totally makes "the polish that is totally not lavender" special. I love this layering combo! Wow, that base color is lovely! Now I want to see it with the REAL red ocean over it. I hate mislabeled polishes. I found an OPI labeled russian navy when it was clearly ink. I was like argh!